Restorepoint is the most scalable network configuration management solution, capable of managing thousands of devices in a single or distributed network environment. Our solution can be quickly deployed as a Virtual or Hardware appliance, and requires no other additional software, costly server licenses, databases or administrative overhead. 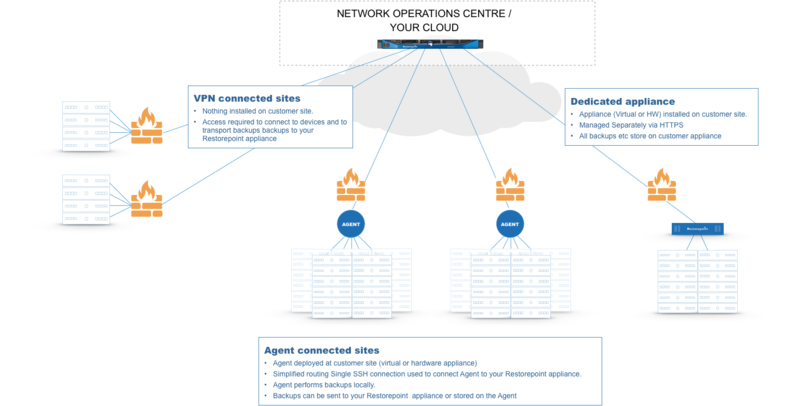 Customers and service providers can manage devices located at multiple sites, by connecting directly to devices over the network, via VPNs, or by using Restorepoint Agents. 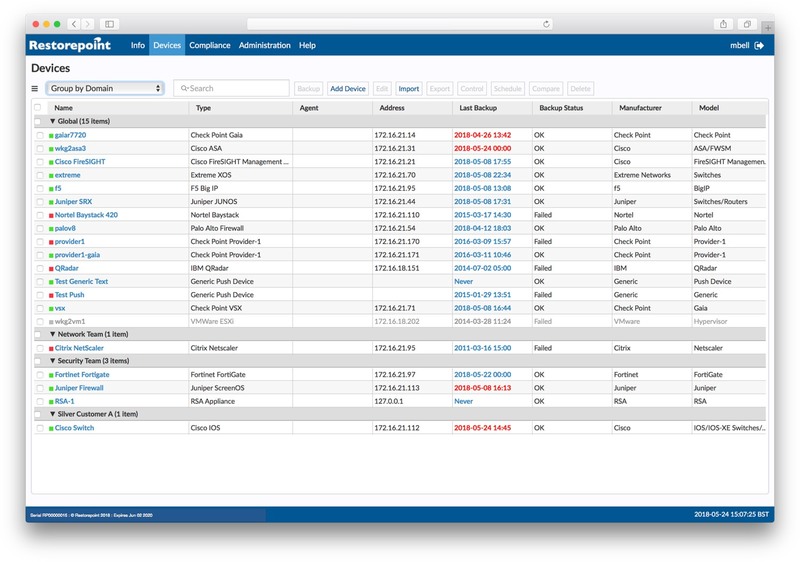 Restorepoint Agents can be deployed as additional virtual or hardware appliances on remote sites to simplify connectivity, and for local storage of configurations files if necessary. The HA license enables synchronisation between a Primary and secondary Restorepoint appliance, syncing all Restorepoint settings and device configurations. In the event that the Primary Restorepoint appliance becomes unavailable, the secondary will automatically resume scheduled operations such as backup tasks, compliance checks and scheduled changes. Multi-user and multi-tenant management allows enterprises and service providers to segregate and delegate administration of network assets using Domains. Granular user permissions can also be used to control user access to customer configuration data and to limit Restorepoint functionality.